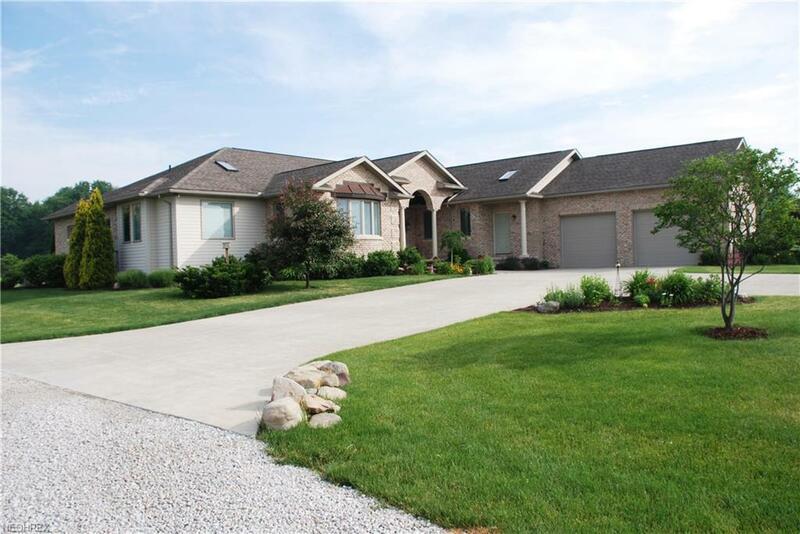 The long private drive welcomes you to this custom designed home and offers 4007 sqft of living space on the main floor and 2500+/- finished space in the lower level. Attention to detail can be seen throughout. The large gourmet kitchen offers granite counter tops, custom maple cabinetry, three sinks, ss appliances, and a large island. The hearth room has gas fireplace and the sunroom windows offer many beautiful views of the property. 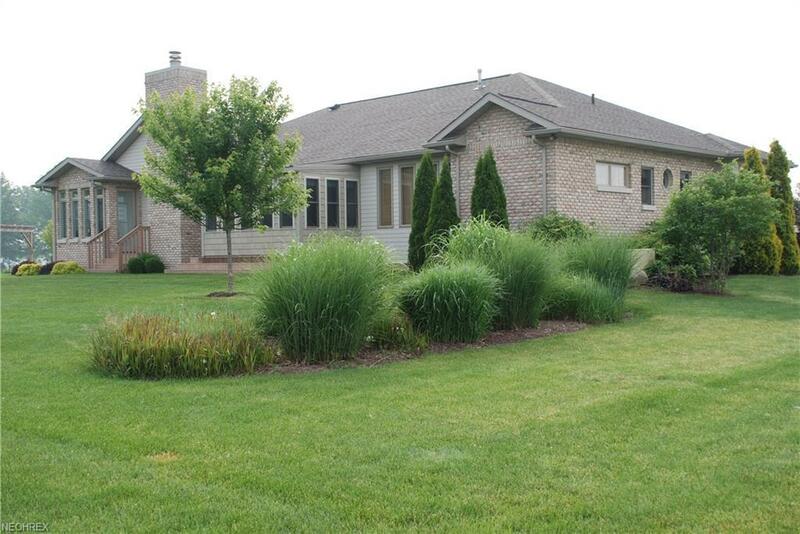 The open floor plan is welcoming to a large family or simply a beautiful home for entertaining. A very spacious dining room and living room open to a three season room. The spacious owners suite features two bedrooms with ensuite baths, plenty of closet space, laundry room and an additional room which is used as a den. A powder bath, two additional bedrooms with ensuite baths, a home office/bedroom and mudroom complete the 1st floor. The 2500 sqft finished space in the lower level has family room, kitchenette, large bedroom with full bath and laundry room. This would be a nice in-law suite and is accessible to the garage. 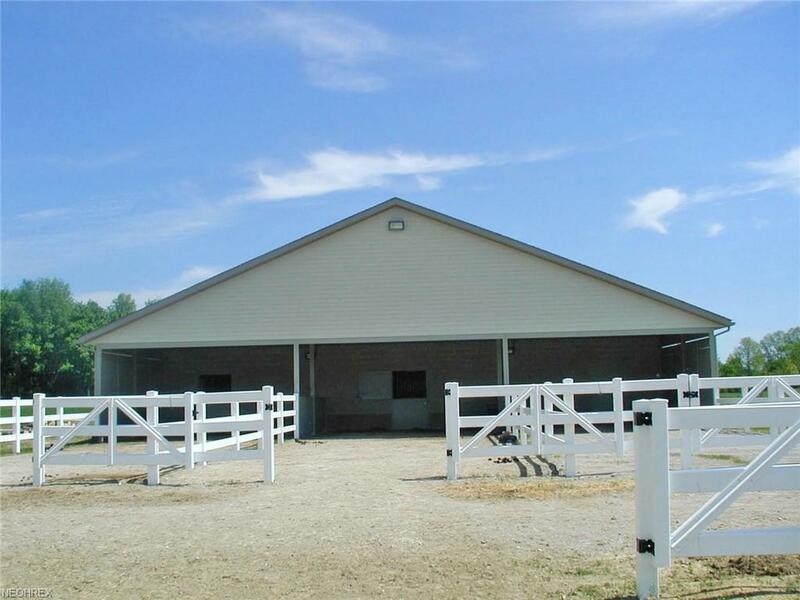 Including on the 35 acres you will discover a large agricultural building which is home to a 20x40 heated garage, 40x40 equipment bay and 24x60 stables with heated waterers and three covered paddocks and two vinyl fenced pastures. 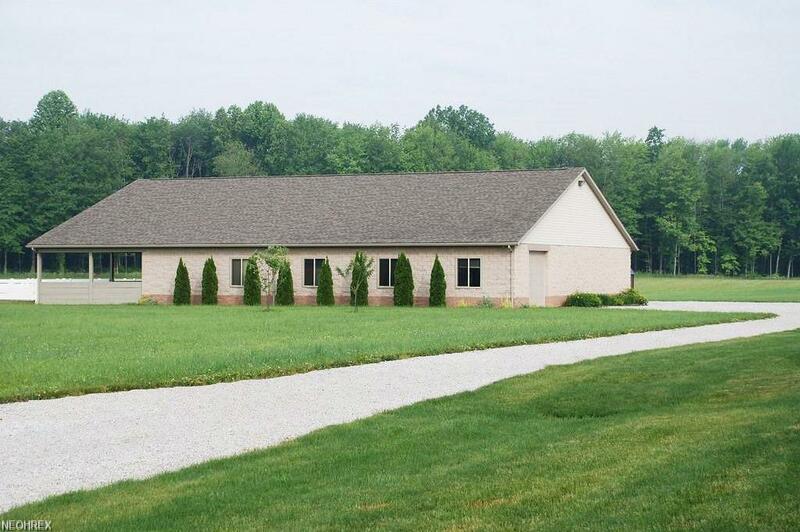 This very private property can be heated by natural gas or a whole house wood boiler system. The home has whole-house backup generator. You must see this property to appreciate all it has to offer.